You've Never Eaten Cottage Cheese Like This! Who needs sour cream? Cottage cheese can be pureed with fresh herbs, garlic, or shallots for a very healthy chip and veggie dip. And it's great as a topping for whole-wheat crackers, too! 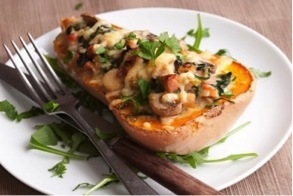 How about stuffed squash? I mix sauteed onions and mushrooms with toasted whole-wheat breadcrumbs, eggs, and cottage cheese and stuff a baked butternut squash. It makes a lighter version of a classic gratin. Topping it with arugula or parsley and fresh rosemary adds a nice flavor punch and pretty color. I discovered this flavor combination when I ran out of sour cream. 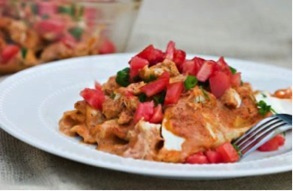 I wanted a creamy enchilada sauce so I pureed salsa with cottage cheese. Since then, I've even started adding cottage cheese to my enchilada filling. This is absolutely delicious. 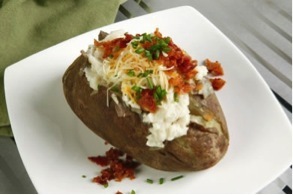 Baked potatoes and cottage cheese (sweet or white) are scrumptious together. We like to add other toppings such as chopped bacon, chives, shredded Cheddar, diced tomatoes, steamed asparagus tips or broccoli, and even shredded streamed zucchini. 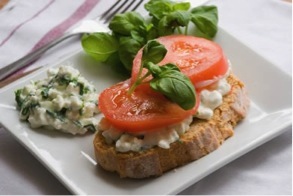 The cottage cheese is a perfect substitute for sour cream! Whip cottage cheese until it's fluffy, (or not-it doesn't really need whipping), then add black pepper and herbs. Spread on toasted whole-wheat baguettes and top with a slice of tomato and fresh basil or cucumber for a quick appetizer. 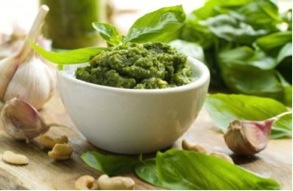 Fresh pesto is hard to improve upon, but if you ever want to branch out a little, just mix cottage cheese with pesto for a creamy pasta topper or an unusual dip. Add strips of roasted red pepper or sun-dried tomatoes for even more flavor burst. 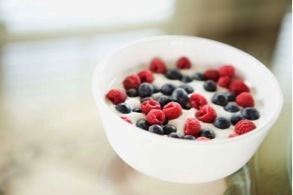 Top cottage cheese with berries or jam for a sweet treat. Spread on whole-wheat toast or stuff into crepes for a quick breakfast, or eat on its own for an after-dinner snack. Or puree cottage cheese with some raw honey and a dash of vanilla and then fold fresh watermelon chunks into this. It's to die for! Everyone knows this, right? 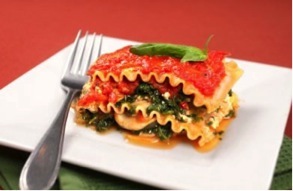 For a boost of protein and creaminess you add cottage cheese to your lasagna filling. But why not go even further into the creative cooking realm and think beyond traditional lasagna: Try thinly sliced butternut squash with roasted chicken breast, and a creamy sauce made with cottage cheese and plenty of sage and black pepper. How about saying "Hello!" to cottage cheese smoothies? 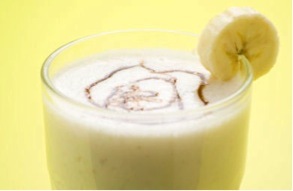 Blend cottage cheese into your favorite smoothie recipe. Peaches, berries, banana, pineapple, mandarin oranges, and honey are just a few suggestions. And did you know you could use cottage cheese in place of oil in your favorite baked goods? 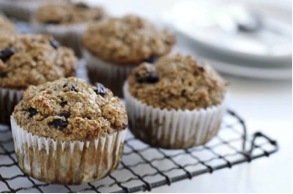 Try it in banana bread, bran muffins, and blueberry cobbler. One of our favorite uses for cottage cheese is to toss it with freshly cooked whole-wheat pasta, loads of fresh herbs like basil and parsley, and lemon zest and black pepper. 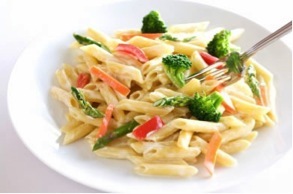 We add cooked veggies like broccoli, spinach, or asparagus, plus bell peppers and onions, for a creamy pasta primavera. The folks at our house have loved every one of these suggestions. And more than once at guest at our table has said, "Wow, I've never eaten cottage cheese like this!" So give these ideas a try and see if you don't agree.